Maybe I’ve got it wrong but shouldn’t a rise in sales tax rate be considered a negative supply shock? I agree with Flypaper…the Bank of Japan should be even more aggressive in the face of the sales tax…people in Japan should have no doubt that inflation is becoming entrenched and that real estate values will be heading north…. 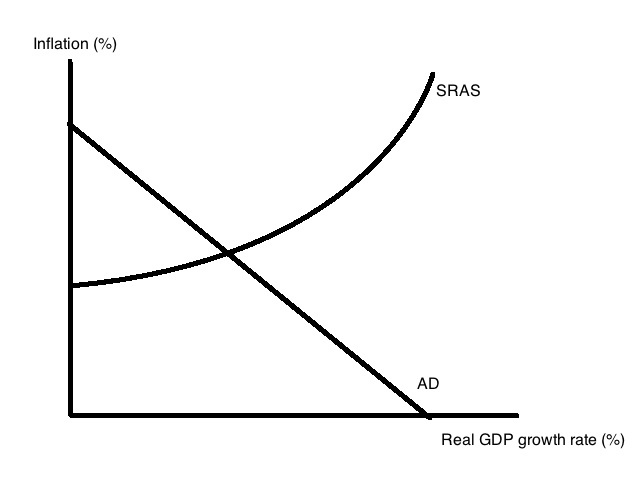 If Y axis represents headline inflation, then the tax increase=supply shock. 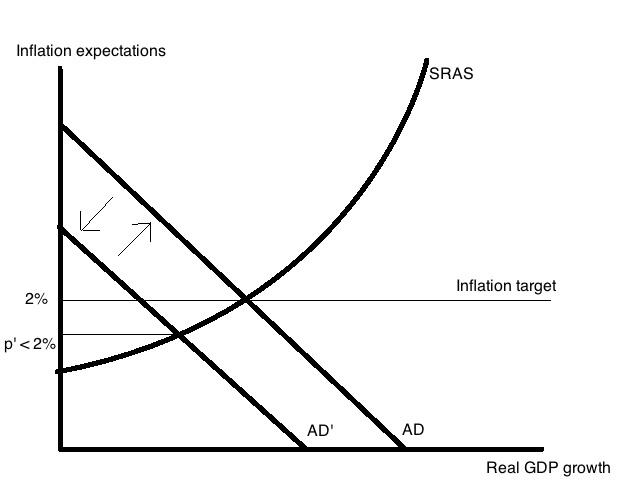 If Y axis is core inflation, then tax increase=demand shock. Quick unrelated question if anybody has any insights: Should we expect Yen depreciation as long as inflation and NGDP are gradually rising between current trend and target rates? Or might the major portion of depreciation be over and further progress toward targets can be achieved w/out further depreciation? Oh, now I got to the point. Thanks, Brendan. Actually, rethinking. Does Core CPI not include the impact of sales tax? I think it does. Flypapereffect, the point here is that we are focusing on the demand impact as will the Bank of Japan. They will adjust the inflation data to the direct price effect of the sales tax. In some countries core CPI include tax changes – in other countries taxes are excluded. Core inflation is not a clearly defined measure. There are different measures of core inflation.